"This month’s North America and Western Europe Economic Cycle Survey presented a positive outlook on global growth, with a net of 67% of 86 economists expecting the world economy will get stronger over the next year, compared to net 84% figure in last month’s report. 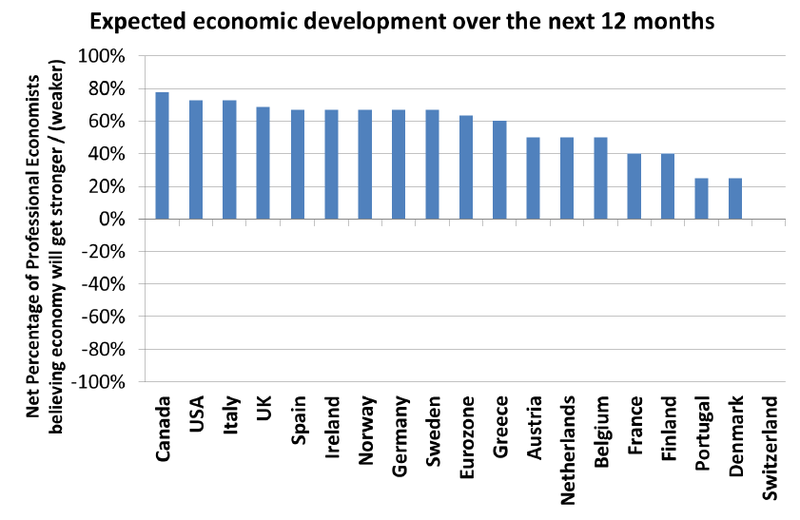 The consensus of economists project mid-cycle expansion over the next 6 months for the global economy. Note: Note: Red dot denotes Austria, Canada, Germany, Norway and Switzerland. At the 12 month horizon, the positive theme continued with the consensus expecting all economies spanned by the survey to strengthen with exception of Switzerland which is expected to stay the same. Eurozone is described to be in an expansionary phase of the cycle and expected to remain so over the next 2 quarters. 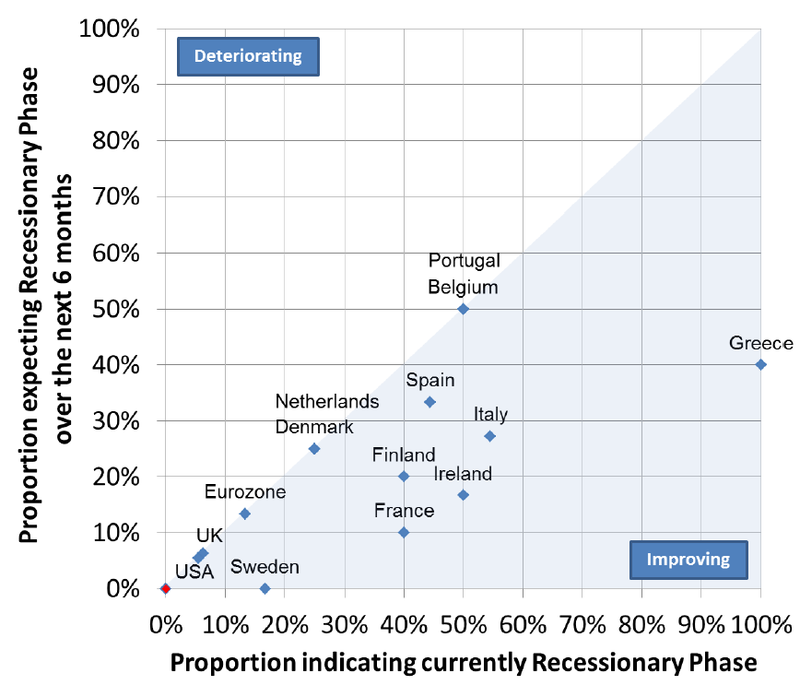 Within the bloc, most respondents described Greece and Italy to be in a recessionary state, with the even split between contraction or recession for Portugal, Belgium and Ireland. Over the next 6 months, the consensus shifts toward expansion for Greece and Italy. Over the Atlantic, the consensus view is firmly that North America as a whole is in mid-cycle expansion and is to remain so over the next 6 months." Note: these views reflect opinions of survey respondents, not that of the BlackRock Investment Institute. Also note: cover of countries is relatively uneven, with some countries being assessed by a relatively small number of experts.